Tuesday is dedicated to blogs I have come across the past week that I would love to share with all of you! Home, Hugs and Huskies – Stepmom Sunday: My Stepdaughter’s Hair: I have reblogged a few of Lindsay’s posts before, but this post she wrote on Sunday about taking care of her stepdaughter’s hair is something I can totally relate too. My (step) daughter has super curly hair and learning how to take care of it took ages. I knew someone growing up with hair like Jordan’s and I saw what happened to that kind of hair when it isn’t taken care of properly. Doing Jo’s hair is also something we bonded over the past six years as well. Thank you, Lindsay, for a post that took me back in time! I will be looking forward to your Stepmom Sunday posts every week! MakeItUlta – Advice from a Dying 24 year-old: I began following Eric for a few months now and he is all about spreading the blog love. This post was a reblog of a post he found. This brought tears to my eyes. The knowledge and wisdom coming from this 24 year-old is inspiring and heartfelt. I feel each and every one of us would benefit from reading this post. Big and Pinky Toes – A Miracle Worker Took My Picture Yesterday: This mama blogger is now a contributing writer for her local City Mom Blog! Congratulations, friend! If you haven’t checked out this blog yet, it is a must read. Reading this post actually got me looking into the City Mom Blog in my local area as well! Write into the Light – What if I Have Bipolar Plus Anxiety Disorder: Mental health is a serious issue and it needs to be addressed more than it has. Mental health runs in my family and I have had anxiety most of my entire adult life. This post is informative and I look forward to exploring WiL’s site more! A Mother of All Trades- Guest Blogger Updates: Jenn is the mama blogger behind A Mother of All Trades! I look forward to her post every week. 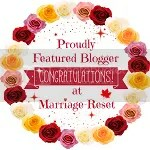 A few months ago I did a guest blog on her site and now she is currently looking for more guest bloggers! This is an awesome platform to get your blog out there. Shoot her an email at amotherofalltrades@gmail.com if you are interested in guest blogging! Hope you all enjoyed these wonderful blogs as much as I did! Stop by and say hello and tell them Jess from Not the Average Mama sent you!